Freddie Mac’s Single-Family Division is currently seeking a Senior Technical Solutions Lead to implement tools and methods of risk evaluation and monitoring as a member of the Credit Analytics and Reporting team. The Senior Technical Solutions Lead will develop, architect, engineer, design and implement the appropriate Big Data applications and/or technologies that supports the Credit Risk and Analytics Big Data Analytics and Cloud Platform roadmap. S/He will provide big picture thinking, innovation and planning which includes developing solutions, creating technical roadmaps, and giving presentations to senior leaders. This role will collaborate with other technical leads and business partners to strategize. In this brand-new role, you will also partner with Information Technology teams to ensure that our strategy aligns with the Freddie Mac vision, strategy and brand. Please note this is an individual contributor role. Able to Create roadmap and prototype design solutions for systems, educate others on design of solution and standards, review code and provide constructive feedback on improvement, research and recommend changes in software development standards and processes. Make suggestions and recommend about Big Data platform, Cloud and technology adoption, including database servers, application servers, libraries, and frameworks. Collaborate on projects with architecture, strategy and Information security teams to on-board Big Data platform (application patterns). Business Communication – engage with internal teams, project teams and business areas to discuss issues and document or explain technical solutions in a simplified meaningful way. Collaborate on projects with architecture, strategy and Information security teams to on–board Cloud platform (Cloud patterns). Participate in design reviews of architecture patterns for service/application deployment in cloud(AWS). Collaborate with platform pillar (Cloud, Big Data, Database, middleware etc.) leads to build-out the components for Big Data and Cloud Platform. Help coordinate project deployments with other engineers and make schedule recommendations. Typically, 10+ years of Applications solution architecture development experience with 3+ years of Cloud (AWS, Azure and Google) and Big Data tools and technologies. A passion for data, and several years of hands-on experience leading data engineering projects, such as data architecture and data warehouse implementation projects. Experience in building solutions on large, complex projects in a high-tech development environment with multi-function teams. Strong technical background/subject matter expertise – experience as technical lead or architect on a Big Data development team. Strong solution delivery experience in Hortonworks Hadoop echo system; Must be very familiar with Hive, Zookeeper, HBASE, Spark, HDFS, Apache Ranger etc. Working experience of building and managing data pipelines on On-Premise and AWS Cloud data platforms using Sqoop, NiFi, Kafka, kinesis etc. Experience in designing and implementing multi-terabyte data warehouses in MPP columnar database systems, such as Vertica and Redshift. Notice to External Search Firms: Freddie Mac partners with BountyJobs for contingency search business through outside firms. Resumes received outside the BountyJobs system will be considered unsolicited and Freddie Mac will not be obligated to pay a placement fee. If interested in learning more, please visit www.BountyJobs.com and register with our referral code: MAC. Once registered, Freddie Mac will have access to your contact information should we choose to engage your agency for future hiring needs. We’re a destination employer because more happens here. 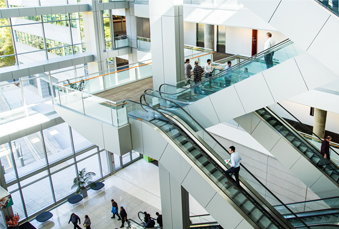 Read about employees and life at Freddie Mac. If you’re looking for your next career success story, welcome to Freddie Mac. 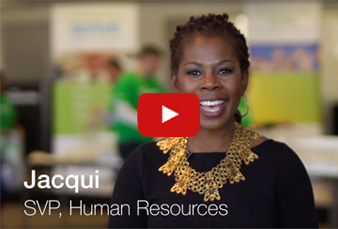 Freddie Mac employees have a long tradition of giving back where they work and live.